When planning our Italian adventure last summer, Dr HH and I agreed to skip Rome and Florence because they’re the kind of cities you can hop to quite easily for a weekend. Last weekend, it turned out, was the weekend for the hop to Rome. Alas, Dr HH was struck down with the plague (aka a bad cold), so we didn’t attack the city with our usual vigour, and opted to stay in and cook in our airbnb most nights. But there was one plan we just could not cancel. 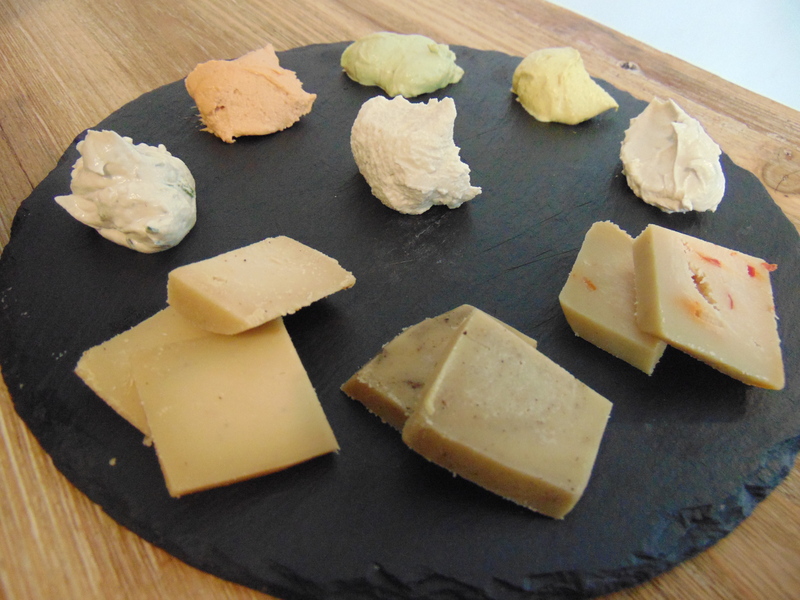 Brace yourselves: we went to a vegan cheese lab! Yes, you read that correctly. No, it’s not just a cheese restaurant – if you go downstairs, you walk right by an actual lab with people wearing white coats and everything. I was very excited that Dr HH, a chemist by trade, got to witness some real, important science for once. The menu is, unsurprisingly, all cheese. They sell some hard and soft cheeses to take home, as well as a cheese plate, a variety of bruschette, some stuffed pizza breads, salads and some raw pumpkin spaghetti dishes. We decided to make this the main meal of the day, and got three different dishes to share. This was the pizza ripiena from Trapani – stuffed pizza bread with black olives, Trapanese pesto (tomato and almond pesto from Sicily), and Anastracchino (the lab-made cream cheese). Let’s just go ahead and call it a pizza sandwich. It was fantastic – the cheese was so creamy, the pesto tasted delicious, and the bread was incredible. I’m no fan of sandwiches, but I would happily eat this every day. We couldn’t resist the mac and cheese, or “casciu’ e pepe.” It was a cashew and black pepper sauce with shards of peppery hard cheese on top – we considered buying some of that cheese to bring home just to jazz up our homemade mac and cheese dishes! It was so delicious, but it has to be said that it would be better with pasta, good and warm. Mac and cheese is such a comforting dish, I feel like making it raw is denying it some of its charm. I’d still recommend ordering this though. 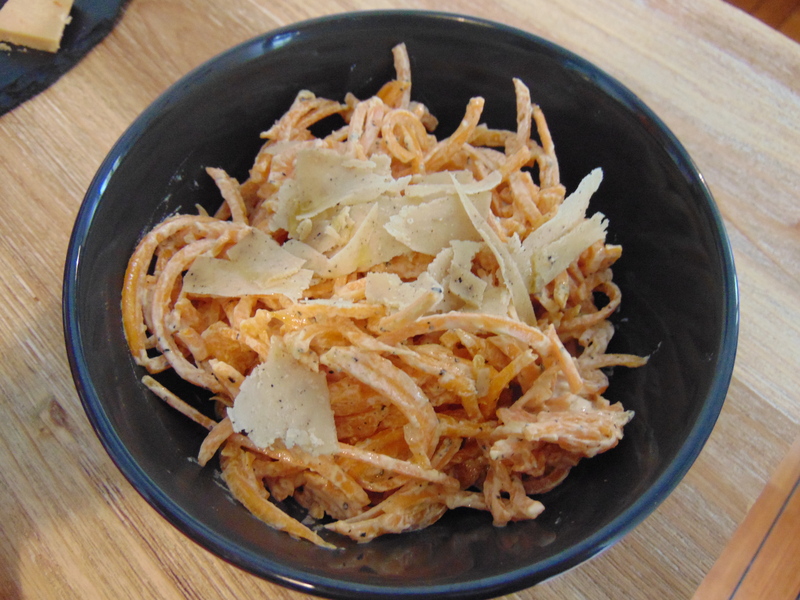 There are a few other raw spaghetti dishes on the menu, including with pesto, which I’m sure would be delicious. And of course we got the cheese plate. It came with small chunks of bread, along with carrot and fennel sticks. Personally, I felt the fennel was too strongly-flavoured to pair well with the cheese, and I’d have preferred crackers to any kind of vegetable. The bread was good though, and the cheese was excellent! The dollop in the middle of the plate is the Sicilian almond ricotta, which was very nice but not the most exciting – that honour went to the three hard cheeses: cashew classic, cashew pepper and cashew spicy (left to right). The spicy one was, unsurprisingly, a bit too spicy for me, but the pepper was perfectly balanced. 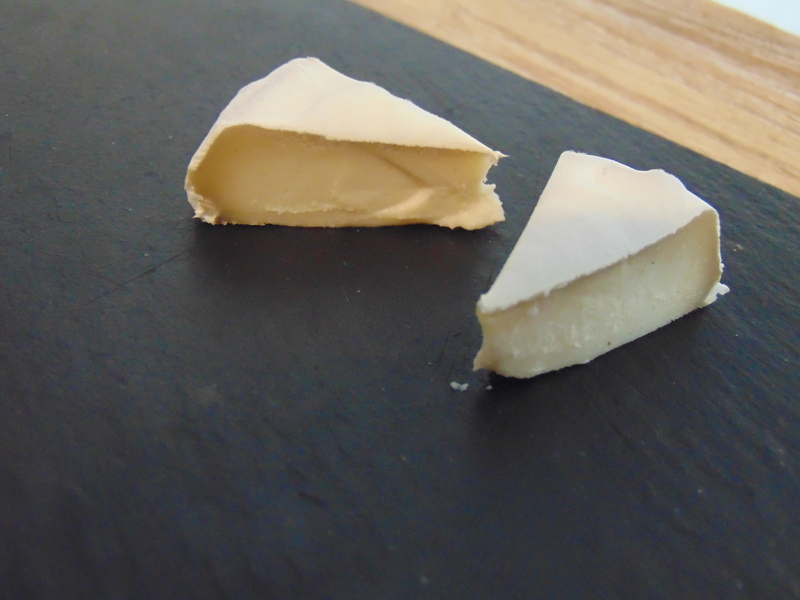 The plain one was absolutely sublime, and the texture was the best of any vegan cheese I’ve had. There were also five dollops of cashew cream cheese: chives, sun-dried tomato, basil, curry and classic (left to right). The chive one reminded me of classic sour cream and chive dip, and was really good – I haven’t had anything like it since going vegan. The curry one was quite strange, but the basil and tomato ones were exceptional. I actually favoured the classic one though, because it really allowed the creaminess to shine through. The texture was just amazing. We were the only customers in by mid-afternoon, and one of the cheese scientists offered us the chance to be their guinea pigs by trying the camembert they’re working on. That is not the kind of offer I can turn down! I’ve only had one vegan version, which was shop-bought and a good approximation of camembert. But this was a whole different level. It was insanely good, with that melty ooze that you want. If a fire had broken out, I might have saved the camembert before grabbing Dr HH. After all this food we probably didn’t need dessert, but how often do you get to go to a cheese lab? That’s right, there were desserts too. We were hoping to try the cannoli filled with ricotta, but they were all out, so we got the daily cheesecake instead – strawberry and lemon. 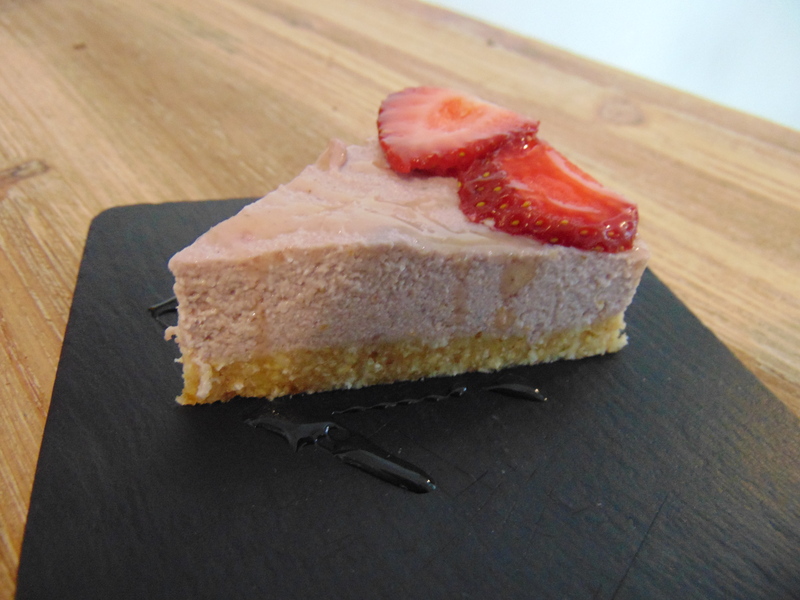 The base was good and nutty and the cake was soft, creamy and subtly flavoured. It was a top notch cheesecake. This place also serves wine, if you want to be fancy with your cheese plate and wine – and who wouldn’t want that? Honestly, it’s worth going to Rome just to go to this place. It’s only open 10am-4pm Monday to Friday, so plan your trip accordingly. I felt like it wasn’t too expensive for a cheese place either – the cheese plate was €9 per person (ours was a 1-person portion), and it was €6 for the sandwich and €4.50 for the mac and cheese. It was our main meal of the day, and we left feeling well-fed. Now I’m desperately hoping for more vegan cheese restaurants to open up – and for Dr HH to finally trade his chemistry lab in for a cheese lab! 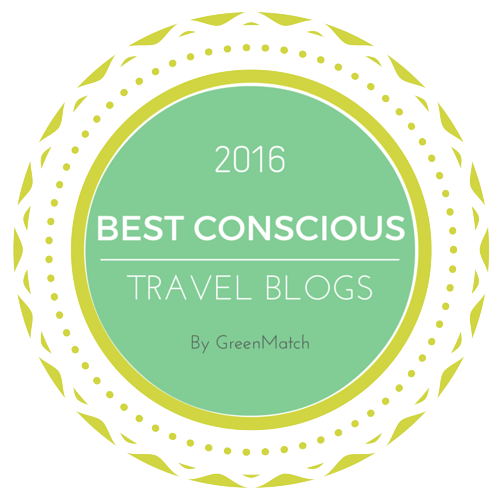 This entry was posted in Travel and tagged Dall'Albero Rome, vegan cheese, vegan Rome, vegan travel. Bookmark the permalink. 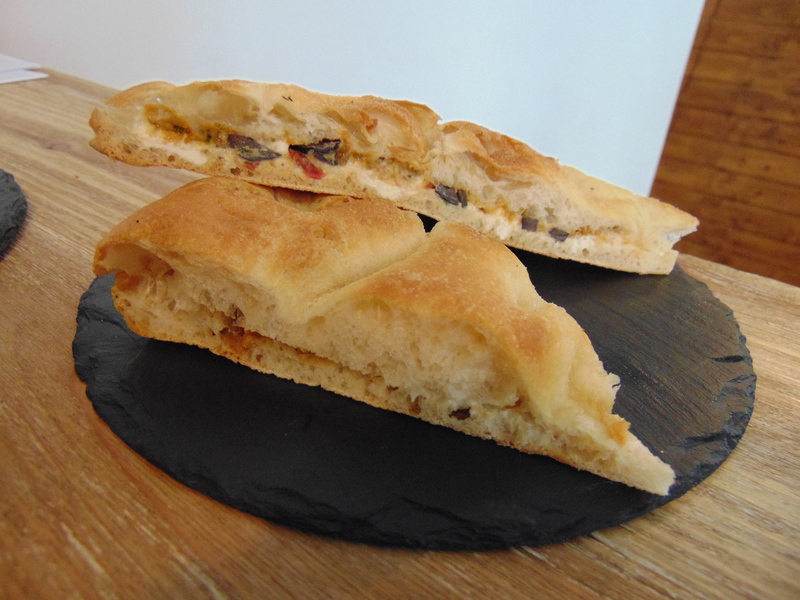 The stuffed pizza bread sounds awesome, and that’s so cool that you got to test their new cheese! I know! 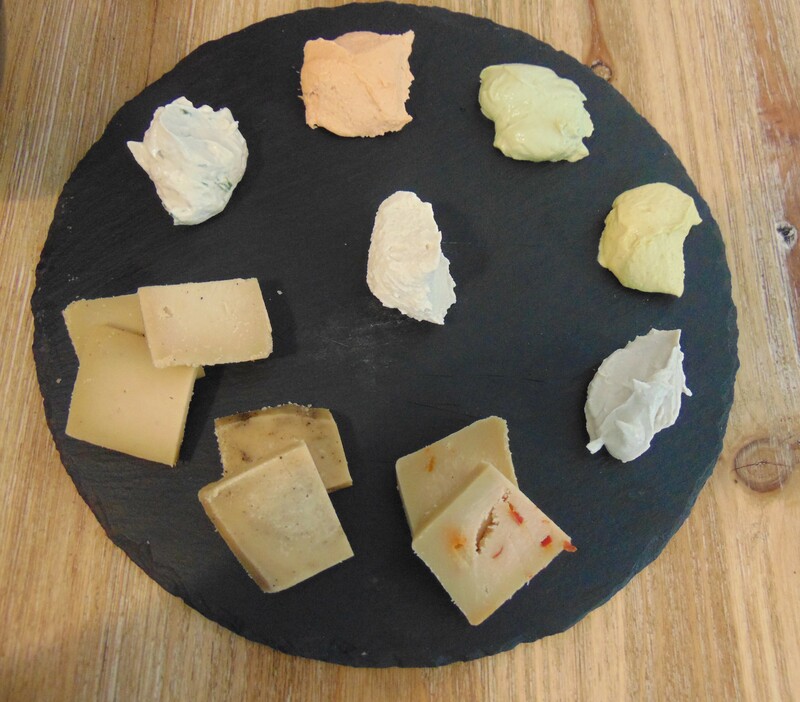 I’d love to be a professional vegan cheese tester! That vegan cheese plate looks amazing! I’d be all over it! LOVED hearing about your travels, too! Thanks! It really was delicious. THAT. LOOKS. INCREDIBLE. I’m actually not joking when I say that this is best advert for going to Rome I’ve ever seen. I haven’t been (which is a pretty terrible mistake on my behalf), but if I ever do, I’m going to this place and no mistake. I was more excited about visiting this place than going to the Vatican Museums – and rightly so, as it turned out! 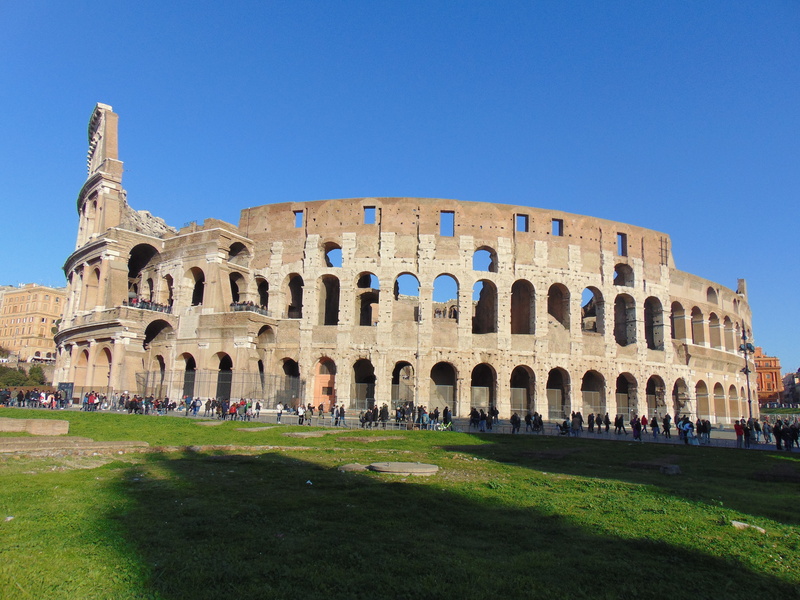 Forget about the Colosseum, clearly Rome’s tourism board should be shouting about this place!